As Charlotte's reading ability grows and grows, and her love of books grows along with it, she feels confident enough to tackle early chapter readers, and will often closet herself away in her room with the "Frozen" soundtrack tinkling away in the background, reading some of her favourite books. Three releases from Firefly / Dragonfly, a new publisher from Wales, have definitely caught her attention. First up is a book by Shoo Rayner, who is one of the most entertaining people to follow on Twitter, and a top notch children's writer. Imagine getting a science project to build your very own fire-breathing flying dragon. That's exactly what happens to Harri (we'd love to go to a school where you were given projects like this!). For once Harri is in with a chance to one-up school's 'model pupil' Ryan. You see Harri has a secret. He's already got a real, live dragon of his own. Of course, Harri knows that he's going to have to be pretty sneaky to ensure that his dragon is never discovered as the real thing. Can Harri succeed? 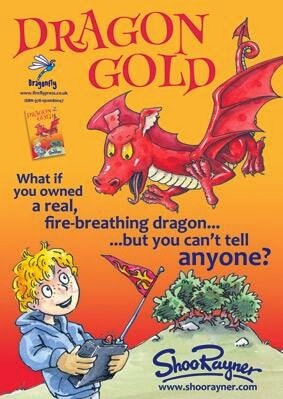 A fantastic story for ages 7 upwards. What's next in our Dragonfly / Firefly book bag? 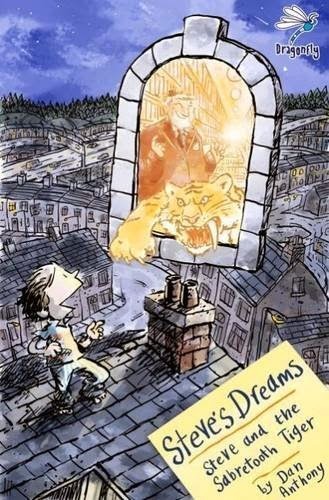 "Steve's Dreams - Steve and the Sabretooth Tiger" tells the tale of a fairly ordinary little boy with a huge, huge imagination. Steve seems to live a fairly mundane life - but in his home town, danger lurks around every corner. To top it all, Steve finds he has access to "The Library of Dreams" which threatens to make life even weirder. An unlikely hero, can Steve set things to rights and save humanity in the process? A rip-roaring adventure story tapping into the colourful world of a child's imagination. 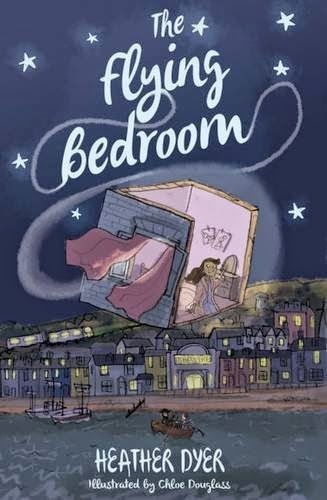 "The Flying Bedroom" by Heather Dyer with illustrations by Chloe Douglass is one of those books that Charlotte can disappear off with, and lose herself in a fabulous world of adventure and charm. Elinor's bedroom is no ordinary bedroom. When she tucks up safely at night, her bedroom can fly - transporting Elinor to distant lands and adventure where she'll meet pirates, snowmen (our favourite story) and travel to the moon. This book is fabulous for parents who want to read something slightly longer to their children than a picture book, but don't want to chip away at a longer chapter book as each story is short enough to read before bedtime each night. Truly lovely and our favourite of the three.